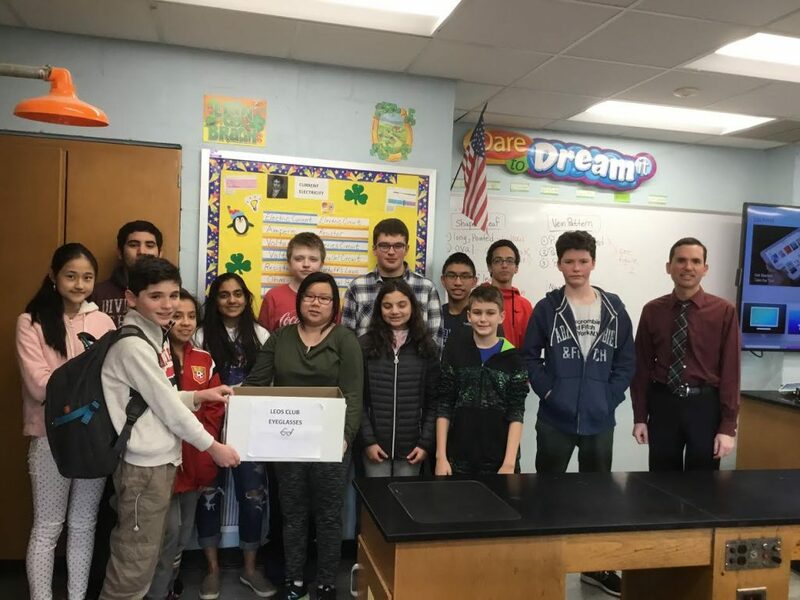 Floral Park Memorial High School’s Leo Club sponsored a used eyeglass drive during the month of February. In all, 60 eyeglasses were donated to the Lion’s Club, and ultimately delivered to a Lions Eyeglass Recycling Center for use. Photo caption: Members of Floral Park Memorial High School’s Leo hosted an used eyeglass drive to benefit a Lions Eyeglass Recycling Center.